Ideal skin expectations are rarely met in real life like we would want them to. Airbrushed covers of magazines display women with perfectly even toned and smooth skin, devoid of any of the blemishes that we find disrupting our skin in our everyday lives. One of the most persistent skin conditions that pester people is uneven skin tone. What do you do about the patches of skin that are darker or lighter? This question is often asked across numerous medical forums and doctors’ clinics, and today, we will attempt to answer it. – Increased exposure to the sun: The “pleasant sunshine on your face” feeling during summers and sunny days is not always the positively connoted experience on your skin that clichés make it out to be. More often than not, increased exposure to sunlight and its’ harmful UV rays for unprotected skin leads to uneven skin tone. – Hormonal imbalance: According to leading experts, an imbalance in the release of hormones can be a reason for the excessive production of melanin, which results in some patches of the skin becoming darker than others. 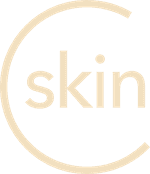 – Dry, flaky skin: Dry Skin tends to flake, causing a disruption in the natural structure of the skin and the resulting breaking and cracking leads to discoloration. – Dietary issues: Certain allergens, food additives and other things found in our diets can cause an outbreak of skin conditions, making it another cause for an uneven complexion. Now that the causes are known, we can discuss remedies for uneven skin tone. One can either opt for home remedies (for mixed/varying results) or go for a professional solution. Some popular, natural home remedies for making your skin tone even, are as follows, please make sure that you’re not allergic to any of these remedies before you put them on your face. – Orange: The peel can be dried and powdered, which can then be mixed with a small amount of orange juice or fresh (preferably homemade) yogurt. This, applied to the skin for half an hour or till it dries, can be a helpful uneven skin tone remedy. – Oatmeal/sugar: These are ingredients which are apt exfoliating components, and help remove dead skin cells. The application of oatmeal/sugar on your uneven skin works best when mixed with a wet ingredient like lemon or tomato juice. – Cucumber: Using it in a variety of forms all provide positive results, it can be applied to the face raw, grated or juiced. These are just three among many other combinations of natural ingredients that help show moderate changes in the skin and improvements if repeatedly performed. Results from the application of these home remedies can take a long time to manifest, so if you’re looking for quicker results, it’s better to opt for a medical solution instead. – Chemical peeling: this term has gone from sounding like a hazard a few decades ago to becoming a widespread form of uneven skin tone treatment. The treatment is provided at levels that are light, medium and deep, all of which refer to the intensity of the chemicals used and the depth of action on the skin. – Laser resurfacing: This treatment is similar to chemical peeling in the sense that it gets rid of old damaged skin to reveal younger and brighter skin underneath, but this procedure uses a laser instead of chemicals. – Dermabrasion: This is a mild form of sanding the outermost layer of the skin using rotating devices, but is generally used for reducing/reversing aging effects rather than improving uneven skin tone. It is recommended to consult a dermatologist as the point of reference before opting for either a home or a medical remedy instead of deciding on your own, as the wrong step can undoubtedly prove disastrous and make the condition worse.